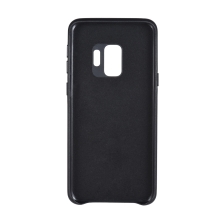 This phone case for Samsung S9 features a ultra simple and natural design, combined with exquisite workmanship to create a fabulous case. High-quality and eco-friendly PU leather shell delivers comfortable hand hold feeling, soft flannel inside protects your phone from scratch. * For Samsung Galaxy S9, be molded from a genuine phone ensure every minor detail is given the attention needed to make a perfect fit. * This phone case features a ultra simple and natural design, combined with exquisite workmanship to create a fabulous case. * High-quality and eco-friendly PU leather shell delivers comfortable hand hold feeling and high-end texture, soft flannel inside protects your phone from scratch. * Professional design allows easy access to all buttons, controls&ports without having to remove the case. * Precisely mold made, easy to install and tear down.